Proper circulation is important in your body—but it’s also important in your home. Without air circulating freely in your home, you’ll end up spending more money on energy consumption, be at a higher risk for the buildup of mold and allergens, and you might even have issues with strange smells sticking throughout your home. Plus, poor circulation means you won’t get all the warm air you desire in the cooler winter months, making you feel like you’re living in a walk-in freezer all season long. That’s the cold, hard truth. Fortunately, there are many ways you can improve the circulation of air in your home to maximize your comfort and energy efficiency. In this blog, the Pasco County HVAC team at Benjamin Brothers will give you some keys tips for impressive air circulation—and the implementation of these tips will help your home all year long! Have your vents and ducts cleaned. Your home won’t have great airflow in your home if your vents and ducts are obstructed by lint, dust bunnies, and other obstructions. This poses a real problem in the winter—if your vents are obstructed when you need to pump the heat, you’ll end up cranking up the temperature on your thermostat and spiking your energy bill, and you still won’t get the warm air you’re looking for. Plus, people spend much more time inside in the winter, even in Florida—and if your vents and filters are full of indoor allergens and pollutants, you’ll spend plenty of your time breathing in dirty air that can lead to an increased risk for allergies, respiratory problems, and other illnesses. For the health of you and your home, have a professional HVAC technician come in to perform air duct cleaning, tidy up your unit, and replace your filters. This will instantly improve the circulation of air in your home, and ensure that you’re not breathing in allergens and pollutants as you hunker down for another Florida winter. The air in your home isn’t going to move itself! If you have all of your windows shut and aren’t running your HVAC unit, your air isn’t going anywhere—and that can lead to strange smells, a lack of comfort, and a decline in your indoor air quality. Plus, a lack of moving air is literally the definition of poor home air circulation. Every day, no matter the weather, it’s important to get some fresh air moving through your home. Turn on your HVAC unit to the “fan only” setting, turn on the ceiling fans, and turn on table and floor fans in far corners of the home. Open your windows, too. This will cycle new, fresh air into the home on a daily basis, eliminate strange smells that can stick from cooking or waste disposal, and ensure you’re breathing clean air in your home. We hate to even bring it up, but it’s our duty: the EPA reports that indoor air is typically four times dirtier and more polluted than outdoor air. Do yourself a favor, and push some air every once in awhile. Circulation isn’t just about keeping precious air in—it’s about getting unwanted air out. When you crank warm air all winter, it eventually rises into your home’s attic—if it gets stuck there for too long, it can lead to a buildup of mold, mildew, and unruly smells. Once mold comes into the equation, you’re at risk for allergies and respiratory problems that can make your winter (and every other season) miserable. So what’s a homeowner to do? The best option for preventing mold in your attic is having an attic exhaust fan installed. This fan will push moisture and hot air out, keeping your attic relatively cool and dry and eliminating the possibility of mold development. These fans are inexpensive, and installation is very reasonable compared to the price of removing a mold infestation and dealing with a bevy of health problems. It doesn’t matter how clean your air ducts are or how many fans you have going—if your HVAC system isn’t pushing air the way it should, you’re going to have poor air circulation in your home. A faulty, broken, or old HVAC system will cost you plenty of money in energy costs, and you won’t even get improved air circulation as a result. 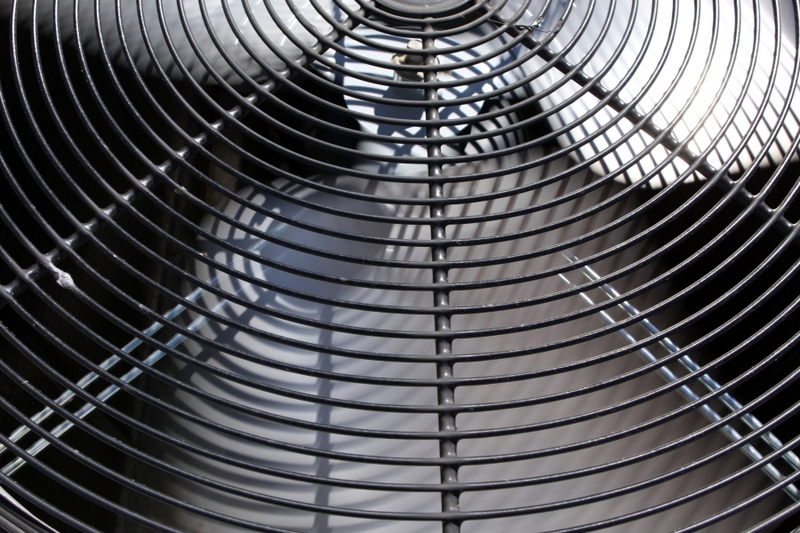 You need professionals to take a look at your HVAC system and make sure everything’s running smoothly. That’s where Benjamin Brothers can help. Our expert HVAC technicians can provide expedient service and repair for your system, perform air duct cleaning, and provide you with tips and tricks to keep the air flowing all year long. Don’t wait, and don’t let your indoor air quality suffer—schedule an appointment with us today.